With ready-to-use Simplot Harvest Fresh Avocado pulp, guacamole, or cut fruit, you can let your imagination fly across your entire menu. Our 100 percent Hass avocados are ripened to perfection, prepared by hand, and always ready for use. We deliver innovative ways to help you serve Harvest Fresh Avocados across your entire menu. Stir more passion for fresh avocados with signature dishes and sides for any part of your day. Fresh or frozen, Harvest Fresh™ Avocados are available in a variety of products and cuts to help transform dishes and delight your customers. Chunky or smooth, Harvest Fresh™ Avocado pulp is versatile in the kitchen and ready to help you take new menu items way beyond the ordinary. 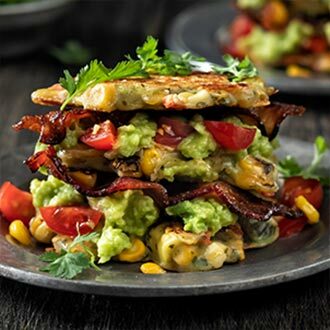 From mild to spicy, our recipes use hand-picked Hass avocados and fresh ingredients. Serve as is or create your own in-house signature dishes that make no compromises for quality. Available as halves, slices, and dices, our Harvest Fresh Avocado pieces are always ready to use with no mess, no waste, and less labor. 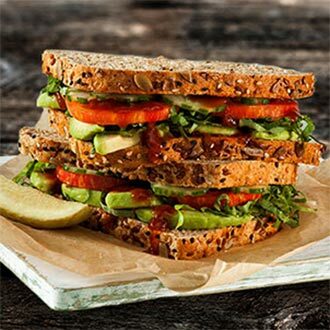 Add a creamy texture to a stacked sandwich featuring Harvest Fresh™ Avocado slices, shredded lettuce, sliced tomato, and adobo sauce. Fry up Harvest Fresh Avocado zesty guacamole mixed with RoastWorks® Corn & Jalapeño Blend and serve with egg and chorizo. 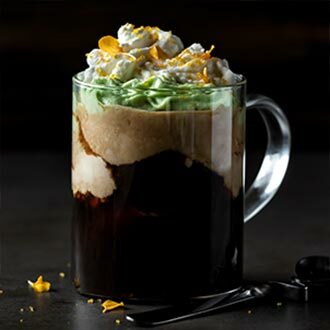 Mix a dreamy blend of on-trend ingredients, including Harvest Fresh Avocado pulp, espresso, whipping cream, coconut milk, and agave nectar. Score a free sample of Simplot Harvest Fresh™ Avocados. Fill out the form below to order a sample of Harvest Fresh Avocados. Once you’ve submitted the form, a Simplot Foods representative will contact you. To receive a free sample, you must be doing business currently as a foodservice operator or distributor.